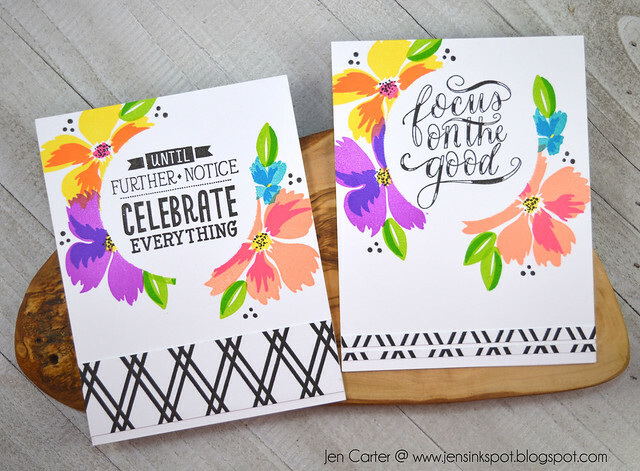 Recently I shared a video post about using alphabet dies to create stencils or card panels. I have another video to share today also using alphabet dies but this time it's all about blinging up those alphabet dies. 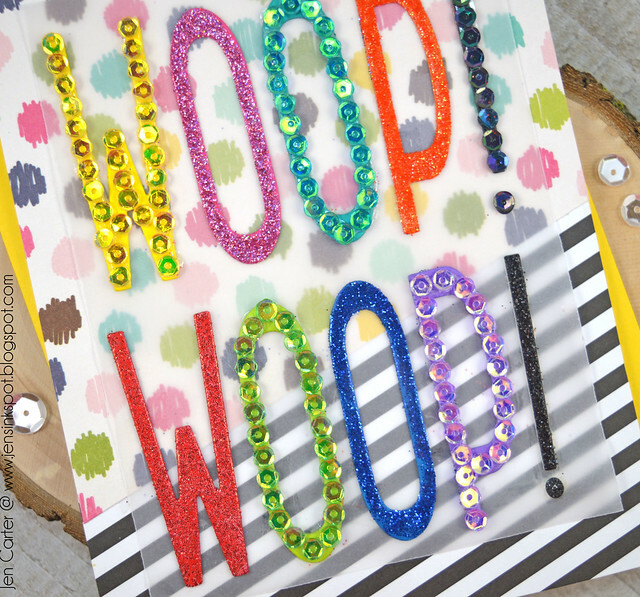 It was so fun and made for three very sparkly cards! This is the card I showed in the video. The letter & number (symbol) dies are called Brooklyn Alphabet & Brooklyn Numbers. 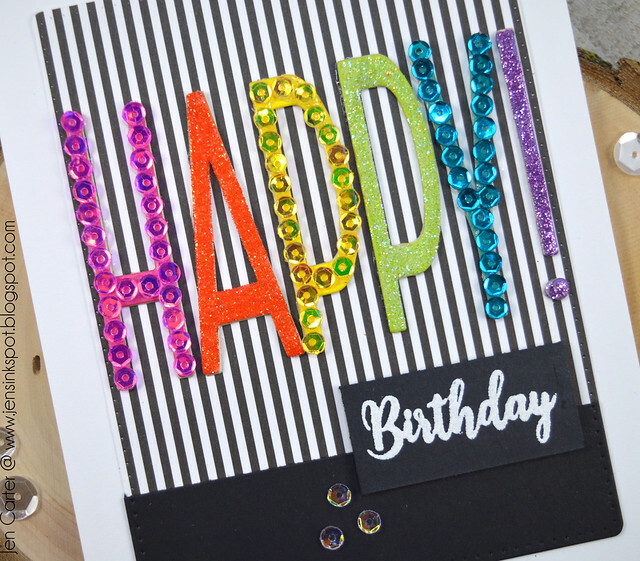 I used sequins, glitter and embossing powder to bling this card up. 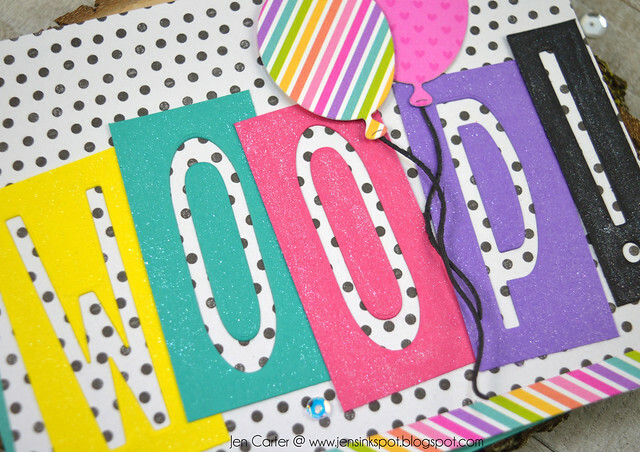 I love how fun and festive it looks and the black & white paper helps it to pop even more! I used a combination of Scor-tape and glue to adhere the various embellishments to each letter. In this closeup you can see the details a little better. 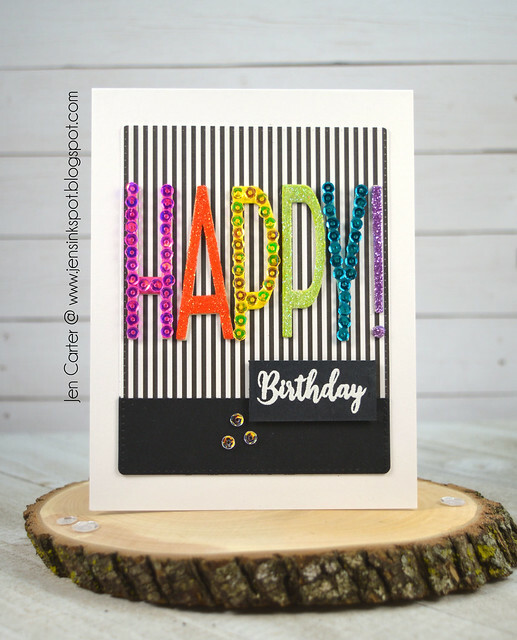 The sentiment is embossed in white and is from a stamp set called Many Happy Birthdays. I enjoy being able to create custom sentiments with dies. 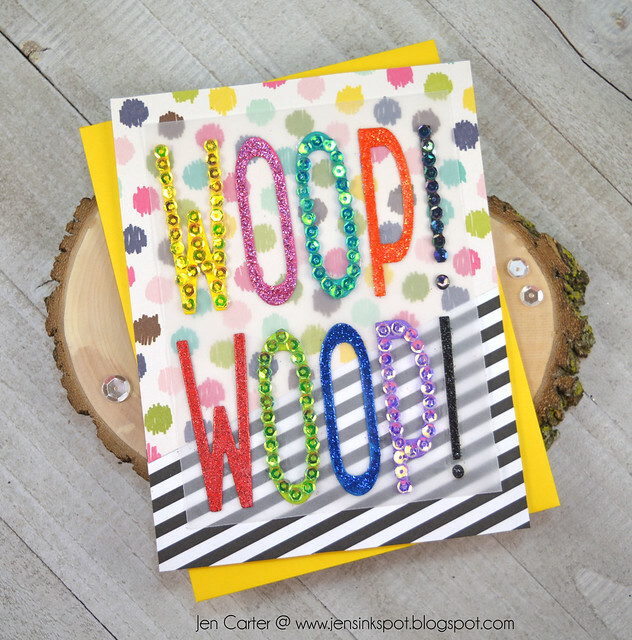 For this card I used the same process as I did above using sequins, glitter & embossing paste. I backed the sentiment with vellum since it is competing with the background paper. It softened up the various patterns just a bit. This card is my least favorite from the three and I almost didn't share it. However, it is nice to be able to use the scraps on cards too and that is just what I did for this one. I die cut the letters out of pieces of cardstock that I had first cut to the same size and then used these negative pieces to create my sentiment. 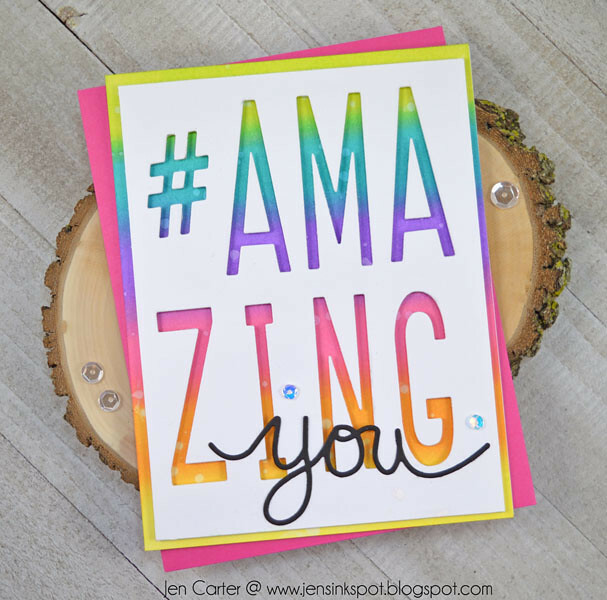 Since they are a larger size you can't fit as many on one card but it is still a fun way to customize a sentiment and have zero waste! On each of the pieces I used a Nuvo Aqua Shimmer pen to create sparkle. You can see that a little bit better in this photo. Thank you so much for joining me today! Have a great one! Ardyth's 1,000 YouTube Subscriber Blog Hop + Giveaway! Hello everyone! 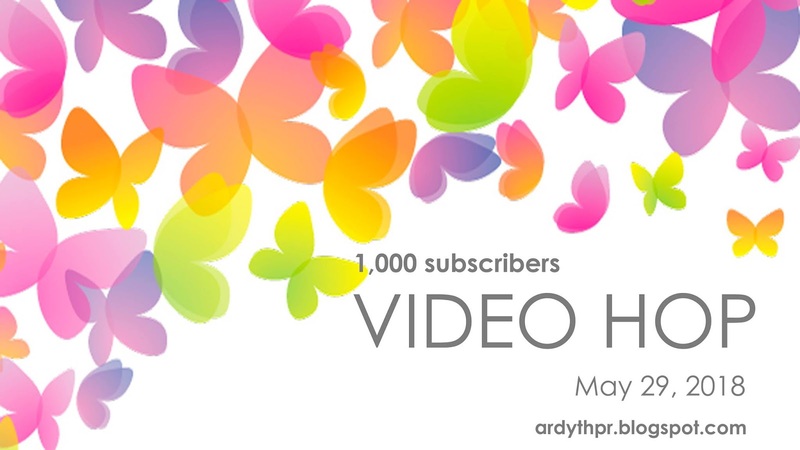 Today I am joining in on a video hop to celebrate Ardyth reaching 1,000 YouTube subscribers this month! Yay Ardyth!! Congrats!! After you’ve finished watching my video, please leave a comment on the video on my YouTube Channel for your chance to win (someone from my channel will win 2 Catherine Pooler ink pads! ), and then click on the link below to visit the next person in the hop. There are more than 20 participants on this video hop and there are prizes to be won! One comment from each video on the hop will be chosen to win 2 Catherine Pooler inks of your choice. One comment from the whole hop will be chosen to win a $25 Gift Certificate to Ellen Hutson, LLC. One comment from the whole hop will be chosen to win a prize pack valued at over $100 from A Jillian Vance Design. And because today is also Ardyth’s birthday, she’s contributing three $25 Gift Certificates (one to Ellen Hutson LLC, one to Catherine Pooler Designs and one to A Jillian Vance Design) to three randomly-chosen comment on her video on YouTube. All prizes will be announced on Monday, June,11 so you have until then to comment. Be sure to watch my YouTube video on my YouTube Channel and leave a comment THERE for a chance to win the ink pads. Someone who leaves a comment on my video will win 2 Catherine Pooler ink pads. Comments left on this blog post will not count. 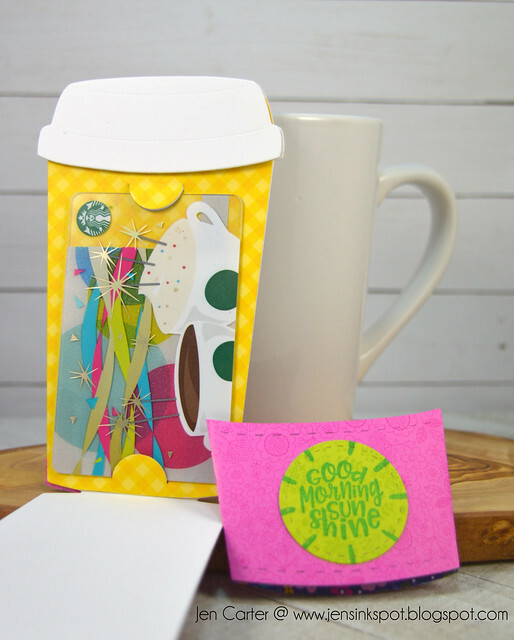 In the video today I will show how I put together these cards using a mask to create the circle frame. And I also share a trick with one of my husband's tools (I have my own now!) that will make lining up your images & sentiments easy! This is the card I created in the video. I started by masking my circle with a very thin, lightweight masking paper and then proceeded to stamp the floral images from Wonderful Wildflowers around the perimeter of the circle. 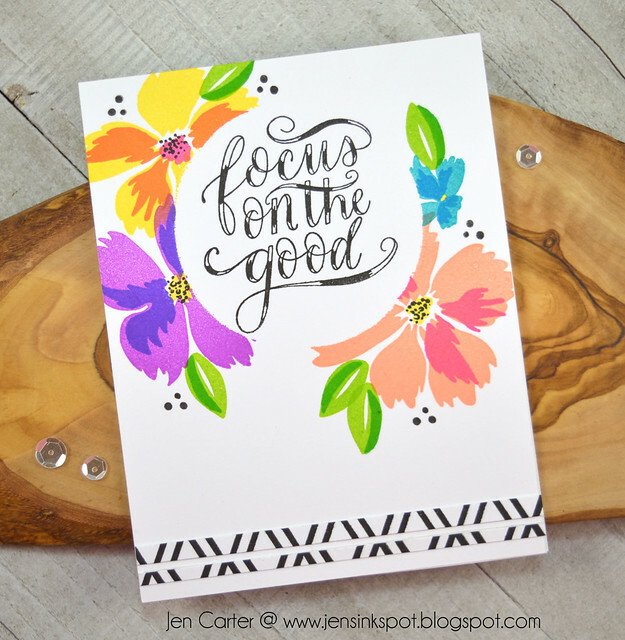 I used the Focus on the Good Floral stamp set to add in the three dots and the sentiment. For the bottom strips I cut apart part of the BFF Background that I had stamped and adhered it. 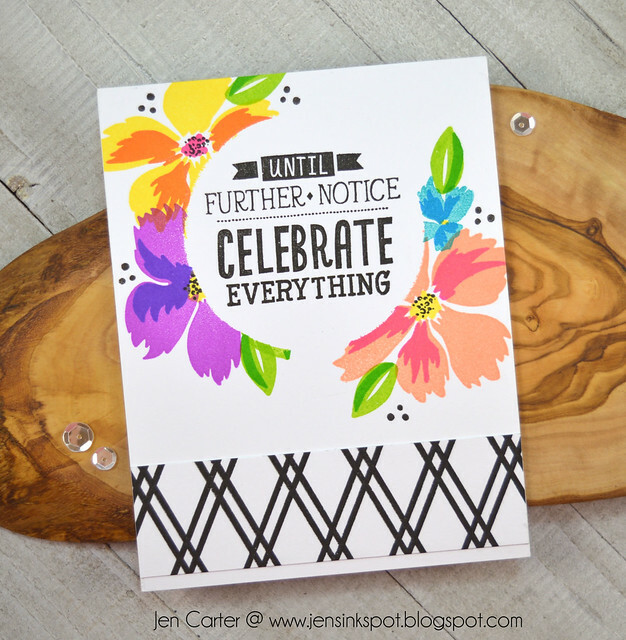 This card is very similar to the first card except for this one I used a sentiment from the Good Things Stamp set. I also left a larger piece of the BFF Background on my cardfront (honestly, it's actually covering up a fairly large ink smudge that happened after I had finished stamping the circle!). Your next stop on the hop is to Sandy Allnock. 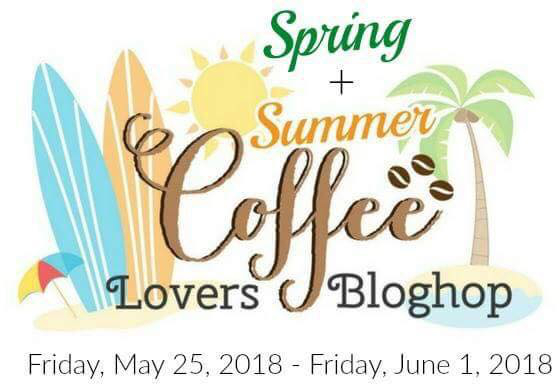 If you get lost along the way, visit Ardyth’s blog for the full list of participants. Don't forget to leave a comment on my video! Someone from the comments left on my video will win 2 Catherine Pooler ink pads. Good luck! Hello! Today I have a video about using alphabet dies to create stencils. In the video I share two cards, one of which I've shared on my blog previously. This is the first card I created in the video. I used the Brooklyn Alphabet Dies from Frantic Stamper to create a stencil for the card front and used Distress Oxide inks to color each letter. 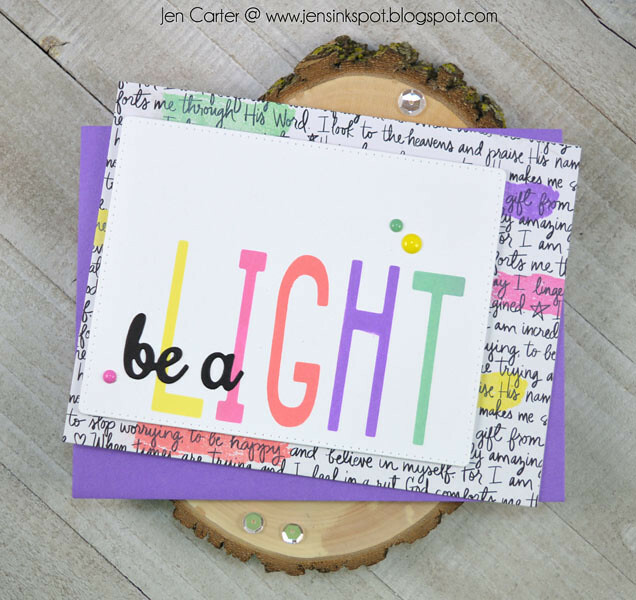 The "be a" was added with an accessory word die set to finish off the sentiment. I also used a paintbrush stroke to add highlights on the black & white patterned paper for some extra contrast and to tie it all together. For this card I did the opposite of what I did earlier. I die cut the sentiment out of the card panel and then popped it up with dimensional tape. Instead of using that piece as a stencil like I did in the previous card, it is part of my card and serves as the main sentiment. The "you" is die cut with Frantic Stamper's Handwritten Love You die that I adhered to the top of the panel. 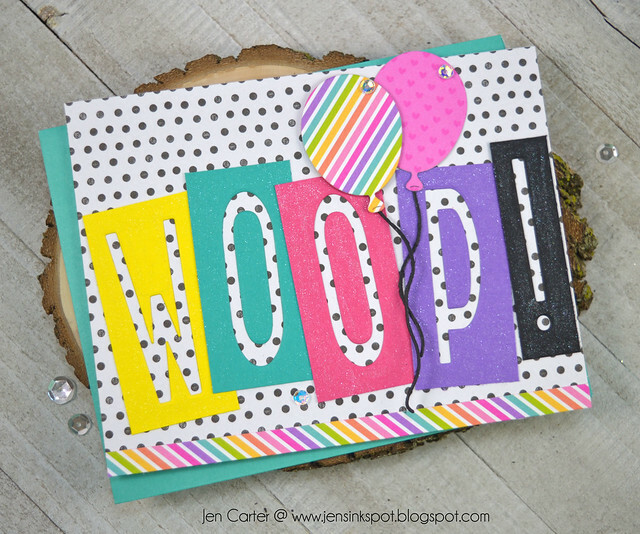 I created the rainbow background with Distress Oxide inks and flicked it with water to create the water spots. It's still Spring even though I'm home for summer break. We are seeing bunnies in our yard and it is always fun to watch them play! 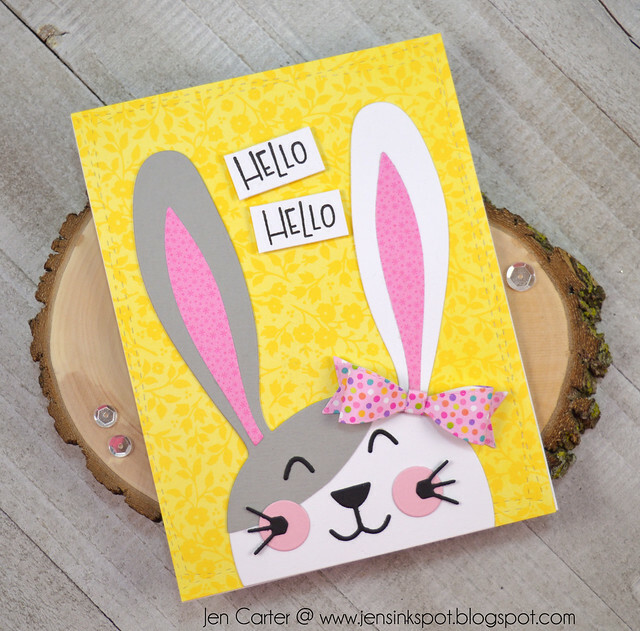 I love this die from Lil' Inker Designs called Peek-a-boo Bunny Die. Oh my goodness, it is so adorable! 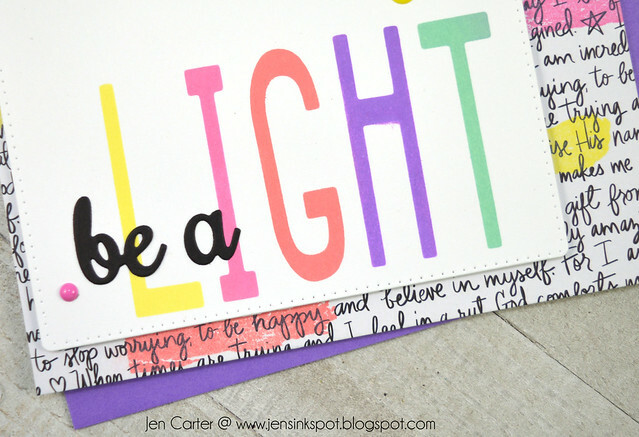 I love that you can use it all year round and it can be used for general cards (like this one), for baby cards, for kid cards, for welcoming Spring cards, for summer cards...well, you get the idea! LOL! I die cut the bunny in both white & gray and then cut off part of the gray so that I could paper piece part of it to be two colors. I love using patterned paper for the inside of the ears too! And this particular bunny needed a bow, don't you agree?! I used the Mini Bow die for that. The sentiment is also a fun font and I thought worked perfectly with this cute bunny. It is from the Happy Bunny stamp set. I layered all of those onto patterned paper that I had die cut with the Silly Stitched die set. Summer break started for me Wednesday afternoon and during the summers I like to start the day with a cup of coffee. It's really kind of strange because during the school year I usually only drink coffee Saturday mornings. But summer break is a different routine. 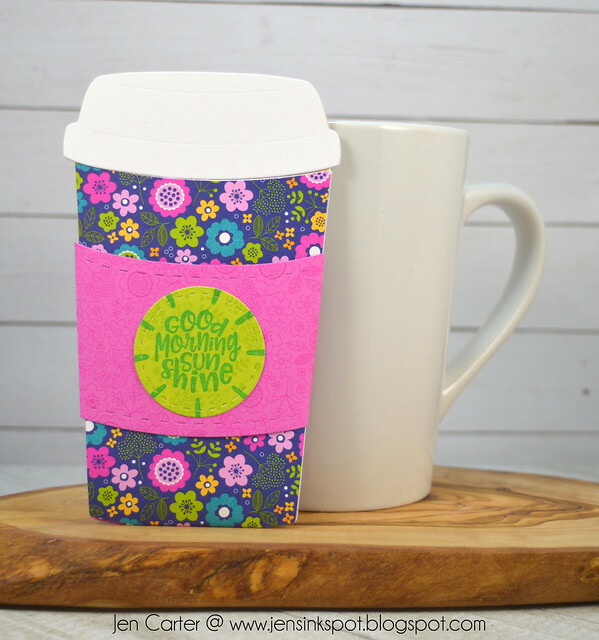 The coffee cup opens up when you take off the wrap-around sleeve and inside there is a holder for a gift card. Again, I chose bright paper for the inside. I also popped the lid up with dimensional tape. Thank you for joining me today! Continue hopping by visiting the Coffee Lovers Blog for all of the stops!